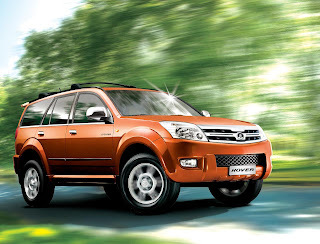 Chinese car manufacture, Great Wall Motors is going to commence production of its passenger cars in early 2011 at its Lovech factory. Great Wall is looking to build two sedans, an SUV and a truck for the European community. The plant has a production capacity of 50,000 cars per annum. The first 1,000 cars are expected to be produced in February 2011. The company anticipates the production will give it wide access to the Euro market. The vehicles are likely to obtain a "Made in the EU" sticker and – without infuriating duties and taxes – will be exported throughout Europe. The original investment is estimated at $119m and is likely to surpass $420m at a later date. The factory will give work to 1,800 people, of which 400 are highly specialised professionals from Germany, China, Italy, South Korea, and Japan.